Just like what the girls of EXID sang in one of their songs “Ups & Downs” my life as a k-drama viewer this year has also passed such “Ups & Downs” moments. As a continuation to myprevious “Shout Out to 2015” post, now I would like to discuss more about one particular drama that turned out to be the bitter pill I must take in the beginning of this year. One of my friends once said, “Do not expect anything. 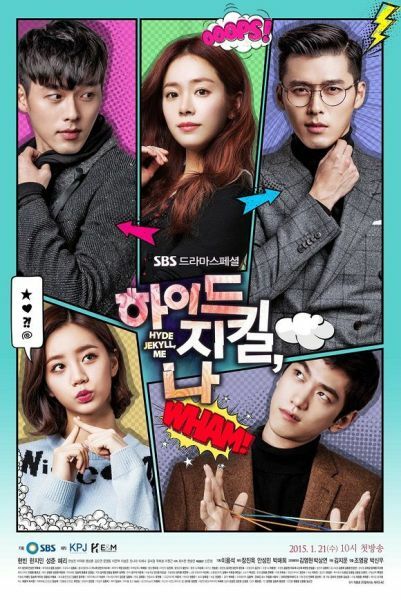 Expectation will only lead you to disappointment.” And oh well, I live by that sentence this year when I decided to put my hopes up for Hyde, Jekyll, and Me and the comeback of the almighty Hyun Bin. By looking at its plot, cast, and production team, I see nothing wrong; nothing will lead to something wrong, at least. But as Richmond Akhigbe once said, “When you don’t see nothing wrong in anything you do, then you are doing everything wrong.” And it is proven. 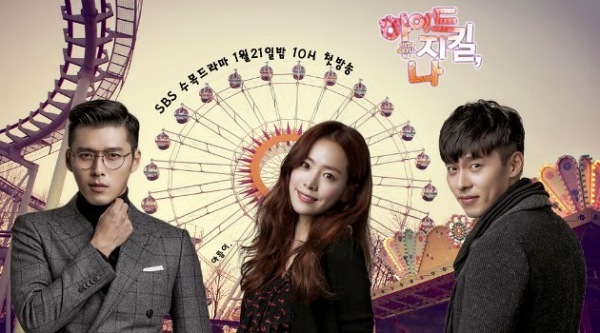 When I watch the first episode of the show, after I saw the ridiculous Gorilla-scene, Han Ji Min’s circus stunt, and the elevator scene, the high excitement I felt within my heart slowly fades away. But at that time, I fool myself and my heart by staying put to watch the next episode. I tell myself that it’s ok if the first episode is not “That Great” because there is still the other. Hence, there is still hope. But after watching the second episode until the sixth episode, I decided to drop this drama and to cry in vain over its fail. I mean, what’s wrong with you drama? You have everything to be amazing, but you wasted it perfectly. Let’s take a look at its plot for a starter. The premise is quite promising. A rich handsome man who unfortunately suffers from a multiple personality disorder due to childhood trauma met a beautiful circus heiress who apparently likes him when she was a child. There are plenty of rooms for romance, thriller, drama and mystery in that premise. If only, If only the writer used it well, then the pandemonium will never happen. To be honest, when I read about the similarity of HJM premise with Kill Me, Heal Me, and the commotion about KMHM plagiarism accusation, I sort of taking side. Back then, my pick is HJM, just because of Hyun Bin. I know it’s really shallow. But after watching the first two episodes of HJM and the first two episodes of KMHM, I’m officially resigned from my spot as “HJM supporter” and became “KMHM supporter” because KMHM is undoubtedly WAY BETTER than HJM in every aspect. 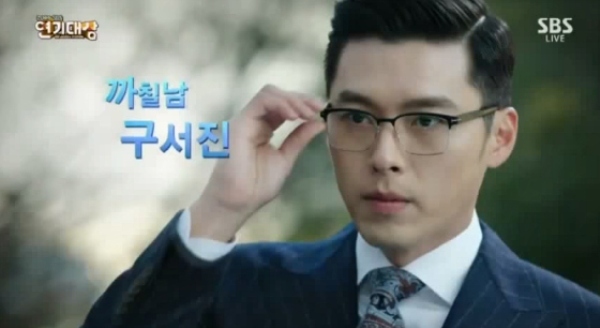 My disappointment for the show is also mixed with my pity for Hyun Bin. It’s his drama comeback for God’s sake. Every woman in this world (lebay, I know) are probably have been waiting to see his comeback since forever. But HJM failed him really, really bad. I feel so bad for Hyun Bin because he deserve better. He deserves a two-digit rating! Therefore, based on the aforementioned reasons, I would sadly announce that The Biggest Disappointment for me this year is Hyde, Jekyll, and Me. I hope Hyun Bin will choose the right drama to play and finally get what he deserve next year and all of the production team of the drama will set aside time for self-reflection.